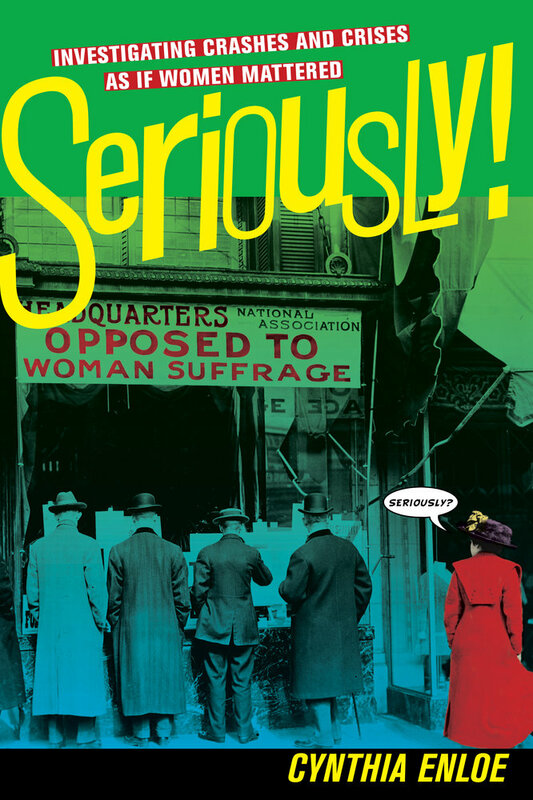 In Seriously!, Cynthia Enloe, author of the groundbreaking analysis of globalization, Bananas, Beaches, and Bases, addresses two deeply gendered and contested questions: Who is taken seriously? And who gets to bestow the label “serious” on others? With a strategy of taking both women and gender dynamics seriously, Cynthia Enloe investigates the Dominique Strauss-Kahn affair and the banking crash of 2008, the subsequent recession, as well as UN peacekeeping and the ongoing Egyptian revolution. Each case study highlights the gritty experiences of women in diverse circumstances—in banks, on the job market, in war zones, and in revolutions. The results of taking women seriously are fresh insights into what fuels the cultures of hyper–risk taking, of sexual harassment, and the denial of women’s post-war security. Cynthia Enloe is research professor at Clark University and author of numerous books, including Bananas, Beaches and Bases: Making Feminist Sense of International Politics. "Enloe offers vivid illustrations from around the world of how women's perspectives and needs are ignored or trivialized, both in public discourse and policymaking." —Ms. "Enloe offers vivid illustrations from around the world of how women's perspectives and needs are ignored or trivialized, both in public discourse and policymaking." 1. Who Is “Taken Seriously”?